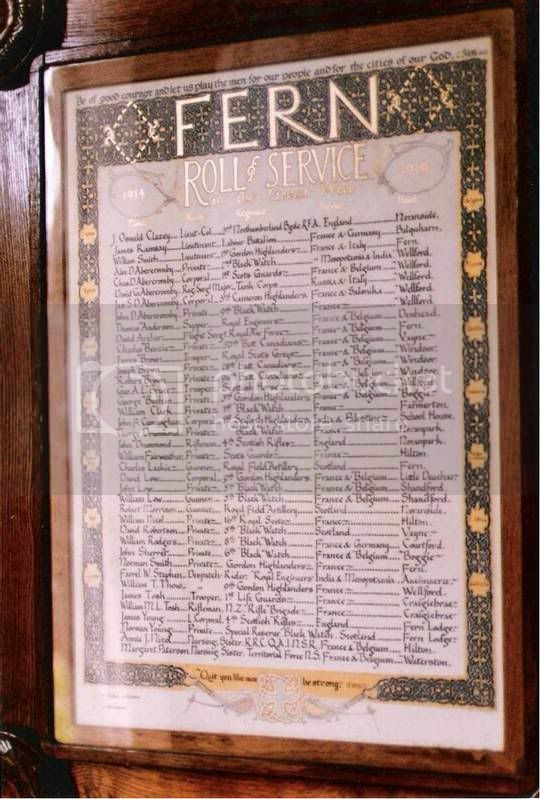 The Fern war memorial is a beautifully crafted 'Roll of Service' which is framed under glass in the kirk. In the absence of a public monument I thought it best to list this under Civic Memorials. The Roll includes all of the men and women of the community who served in the Great War. 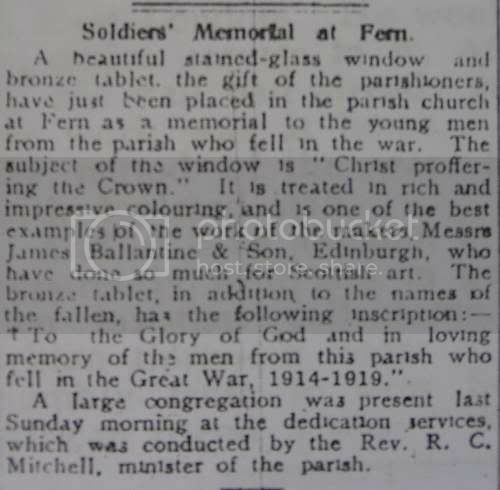 This Brechin Advertiser news article from 1919 refers to a Memorial glass window and bronze tablet at Fern remembering the fallen. I don't think the above RoH is what is described, so is there a Parish memorial after all? Thanks DB. Looks like we'll have to move this to the church section. However we'll wait until it has been replaced by the window and brass plaque.